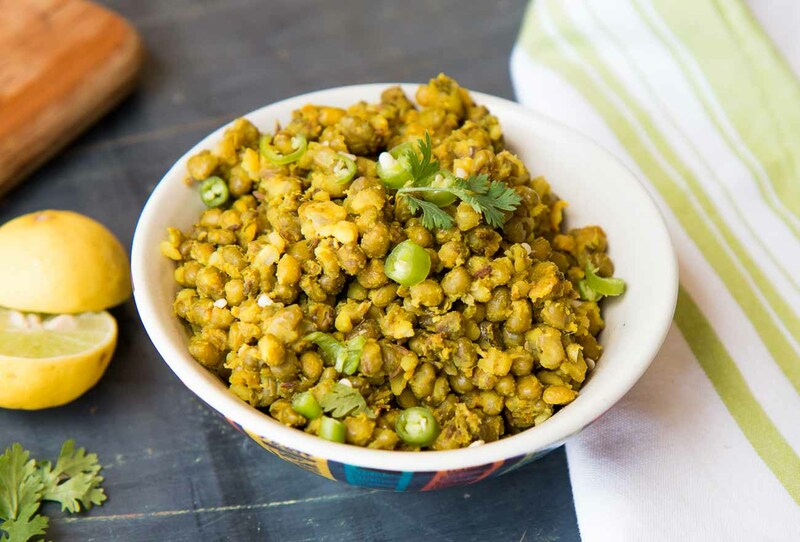 Jain Style Whole Green Moong Dal Sabzi Recipe is a dry moong dal dish which uses absolutely no onion and no garlic, making it a Jain dish as the name suggests. Vagharela in Gujarati means tempered with seasonings like mustard, cumin, ginger and the like. Steamed mung beans when seasoned with green chillies and ginger along with a gentle squeeze of lemon makes this sabzi flavourful. With a little planning, making this dish for a hearty morning breakfast will become a breeze. Did You Know: Whole Green Moong Dal is high in protein and a low calorie food that is packed with vitamins and minerals. Eating Green Mung Beans is ideal for those with digestive issues and sensitive stomachs. The dal is known to be easily digestible, helps reduce inflammation, it does not produce gas and bloating, unlike other beans. Green Mung Beans exhibits powerful antioxidant properties that can help fight various disease and also protects our body. Serve Jain Style Whole Green Moong Dal Sabzi Recipe with hot Tawa Parathas for a rich, wholesome and nutritious breakfast. Serve it for lunch along with Pudina Lahsun Laccha Paratha, Gujarati Wadi Pulao Recipe, Boondi Raita.